​Real Madrid are set to attempt to raise €150m in player sales during the summer transfer window, with current Bayern Munich loanee James Rodriguez set to head a list of players to depart the Bernabeu. As part of Zidane's new look Madrid team, the club could also be looking to earn funds from the sales of players currently on loan away from the Spanish capital. Mateo Kovacic, Achraf Hakimi, Martin Odegaard and Lucas Silva are each also facing permanent exits. 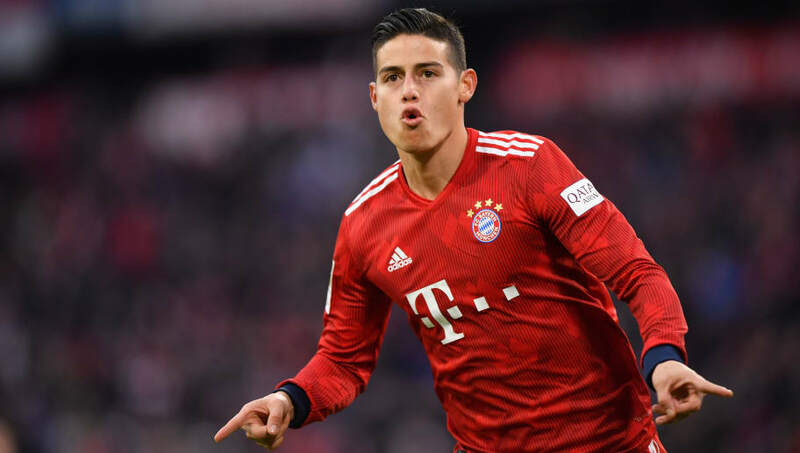 However, according to Spanish source El Confidential (as reported by AS and Sport English), Los Blancos are set to place a €60m price tag on Colombian attacker James Rodriguez - should his current club Bayern Munich reject the opportunity to sign him permanently. The 27-year-old is currently on loan at the Bundesliga club after joining from Los Blancos in July 2017. The agreement between the Bavarians and Real Madrid contains a €42m option, which Bayern can activate should they want to make the deal permanent. James' performances have not been brilliant, however, and despite hints Bayern will sign him, his future remains up in the air. It had been suggested that Rodriguez was keen for a return to the Bernabeu upon the expiration of his loan deal, however this has been cast into doubt following Madrid's reappointment of Zinedine Zidane - who sanctioned Rodriguez's move to Munich during his first stint in the Los Blancos hot seat. The report from Sport even states that Madrid do not want to keep him, regardless. Kovacic, on the other hand, left for Chelsea on loan after Zidane had stepped down at the end of last season. It is believed that he will also be allowed to leave by the Frenchman if the right deal can be struck, even while the Croatian's current loan deal does not contain an option to buy. Real will hope to earn €100m by selling Kovacic and James, while Odegaard has been recently linked with a €20m move to Ajax. Hakimi, meanwhile, has had a good season with Borussia Dortmund - but could be shown the door as part of the likely revamp that will take place under Zidane.